In the Texas Hill Country, biologists are keeping track of a Texas treasure: the Black Capped Vireo. I stop in my tracks every time I hear one [vireo] Up…there’s that bird. Right there! Jeff Foreman is a Wildlife Biologist at Mason Mountain WMA. For many years the black cap was an endangered species, but over the past 30 years this little bird has made a big comeback. Healthy nesting habitat is very much required for the vireo’s sustainability. They really like these low shrubs with spaces in between. They can fly in and around and catch insects. 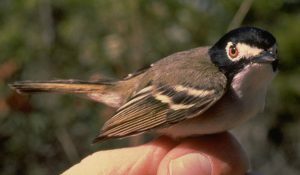 Historically vireos thrived in the scattered shrubs and open grassland that stretched across Central Texas. But with European settlement came grazing by cattle, goats and sheep. …sometimes the populations of those livestock weren’t kept in check. They just ate the homes out from under the vireo. Fire suppression, white-tailed deer, and the brown-headed cowbird, also played parts in reducing the vireo’s population. It was listed in endangered 1987. The good news is, it was delisted in April of last year. Find out how biologists worked this magic the week of January 27 on the TPW TV series on PBS. Check your local listings. When you’re passionate about something, it’s hard to keep it to yourself. 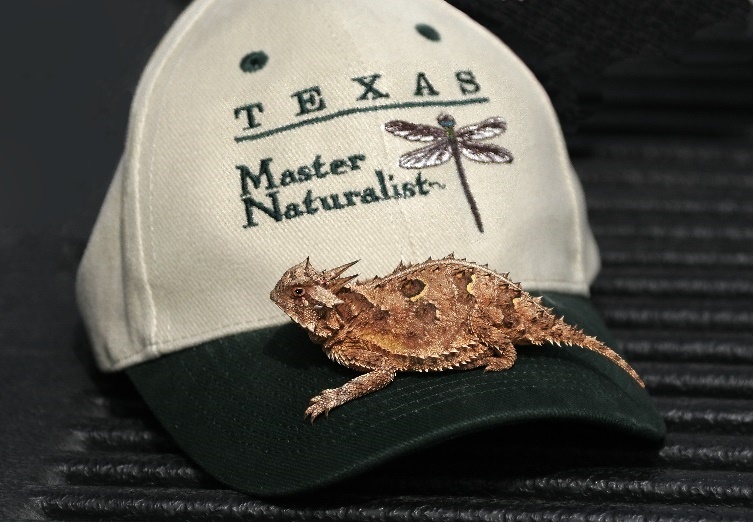 And when that passion leads you to become a Texas Master Naturalist, you don’t have to. 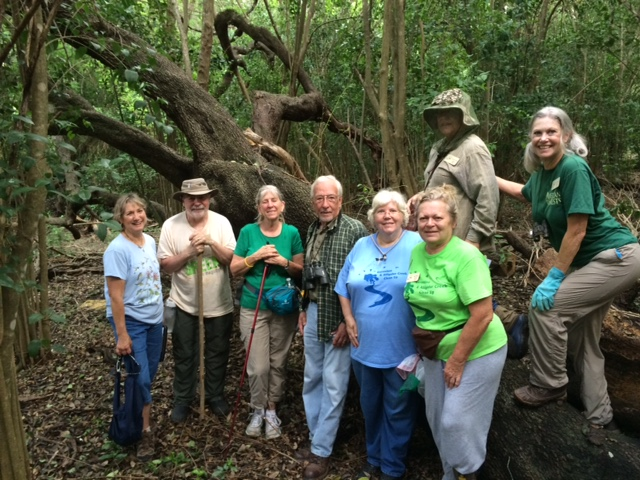 We develop a corps of well-informed volunteers that provide education, outreach and service around the state in the beneficial management of natural resources and the natural areas within Texas. Mary Pearl Meuth (MOYT) is Texas master Naturalist program coordinator. People of all ages and from all walks of life may train to become Master Naturalists, although retirees are strong within their ranks. We do ask that each Master Naturalist provides 40 hours of volunteer service yearly along with their continuing education of 8 hours of advanced training every year to maintain that certification. That is difficult to do on a full-time employee based status – if you’re a full-time worker. But, we do have many master naturalists who are able to juggle the load. So, we do have young and old. Since the program’s inception in 1997, Master Naturalists have given back to Texas in millions of meaningful ways. 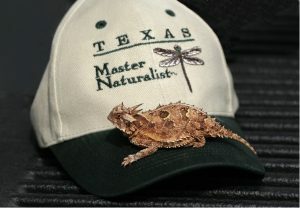 Find out how you can train to become a Master Naturalist at txmn.org. We record our series in Austin at the Block House and Joel Block engineers our show. Catfish waiting his turn to head to a neighborhood fishin’ pond. I visited the A.E. Wood Fish Hatchery in San Marcos on a misty morning in early October; that’s where I met hatchery manager Mike Matthews. We’re standing on the banks of pond 23. And we’re harvesting our 12-inch catfish for our neighborhood fishing program. The one-acre pond had been drained; nearly 5,000 channel catfish flopped around in a Kansas kettle. It’s basically a raceway in the bottom of our pond. We’ve brought the whole pond down into that kettle, and that just catches all the fish for us very efficiently. A technician counted and weighed the fish as he placed them into a wire basket. Using a crane, technicians moved the basket to a waiting transport truck, and deposited the fish into tanks. Which has got probably three to five parts per thousand saltwater in it. It’s beneficial for the fish. It causes them to promote slime growth, which in case they do get a little rough handled, and nicks their skin a little bit, that slime will cover that before it can really become a problem. It’s natural. That’s what they do anyway. I followed a truck to East Metro Park in Austin, where Ryan, a fisheries technician, released them as anglers waited on the banks. 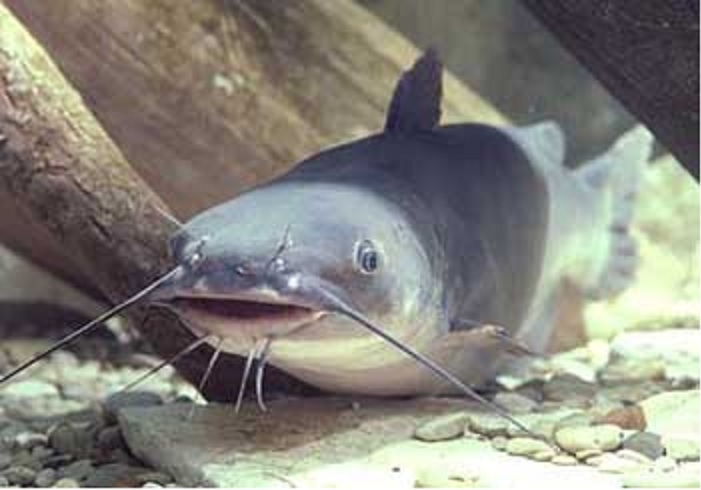 Texas Parks and Wildlife stocks catfish in neighborhood fishin’ ponds during warmer months. In winter, it’s rainbow trout. Find the stocking schedule on the TPW website. You are currently browsing the Passport to Texas weblog archives for January, 2019.